Since Maastricht, there has been a concerted effort at the EU level to forge a fair and mutually responsible legal relationship between labour and management. What is sought is a legal framework for labour relations that will protect¿and even nourish¿the most important employment interests of all Europeans. It is now clear, with more than a decade¿s perspective, that many unforeseen obstacles and pitfalls¿both legal and practical¿have slowed the progress of this social dialogue. 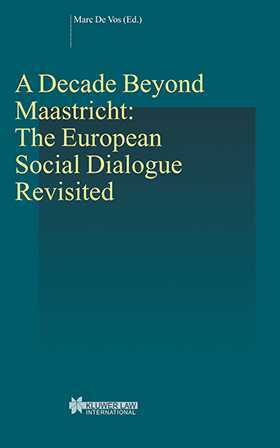 The European Social Dialogue Revisited focuses on what has gone wrong, what has gone right, and what initiatives should be taken to ensure a positive continuation of the trend toward greater social justice. Does the much-talked-of European social model really exist? Are effective collective agreements feasible under the current EC Treaty? Is the conclusion of collective agreements negotiation or legislation? Can a viable compromise be achieved between the often contradictory aims of competition law and social policy? The discussions include incisive analyses of relevant law and legal theory¿pertinent EC Treaty provisions and directives, decisions of the Community¿s courts, existing and potential collective agreements¿as well as declarations of the social partners and from Community institutions. The text of the work programme drawn up by ETUC, UNICE, and CEEP in November 2002 is reproduced in full. For all the contention it arouses, the European Social Dialogue has in fact achieved some real change in social policy and holds great promise for the future. This important book serves as a milestone that allows all concerned practitioners, academics, and policy makers to measure what we have accomplished and to identify the elements we must concentrate upon to ensure continuing progress.